Hikes, bikes and nights to remember! 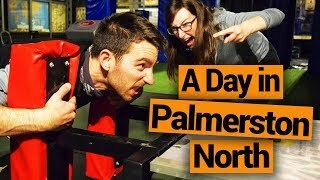 Day or night, there’s always something to do in Palmerston North. The truly “happening” city can be easily explored by foot or by bike on the multiple dedicated paths and cycleways. 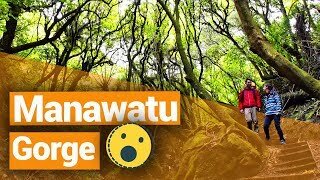 A short drive out of the city brings you to the likes of Manawatu Gorge for something a little more adventurous on the hiking side. Plus, the city is dotted with sculptures and street art that always keeps things interesting in between visiting museums. By night, the city comes alive with various events like a multicultural food truck feast and night markets, as well as a huge choice of bars and clubs hosting live music, quiz night, poker nights and karaoke. The surrounding Manawatu region is a treat in itself, giving you plenty of reasons to stop a little while in Palmerston North. A quick activity to do in Palmerston North is check out the Te Manawa Museum of Art, Science and History (Main Street). See Maori artifacts from the Manawatu-Wanaganui region, learn about the early European settlers, marvel at ever-changing art displays, and interactive science exhibits. In the same building at the Te Manawa Museum, check out the Rugby Museum. Not only can you learn about the history of New Zealand’s favourite sport, but you can take on some rugby challenges. Entry is around NZ$12.50. Palmerston North is a great city to stretch your legs. Find walks within the city and only a 15-20 minute drive out of town. For more walks within driving distance of Palmerston North, check out 10 Walks Around Palmerston North. For a list of pretty much all the walks in Palmerston North, check out 26 Awesome Hikes Around Palmerston North. Hire a bike or use the two legs God gave you to complete this 10km track around the edge of Palmerston North city. It’s an easy walk accessed from any of the following: Te Mata Road, Albert Street, Centennial Drive, The Esplanade and Maxwells Line. The track is just a 5-10 minute drive from the city centre. Only a 15-minute drive from Palmerston North, Manawatu Gorge is a hiker’s dream. The closest entrance into the gorge is on State Highway 3, Napier Road car park. The Tawa Loop is a shorter track ideal for those with less time or with a moderate fitness level, whereas the Gorge Walk is a one-way track for the more adventurous. More information on these forest hikes can be found in the Tararua – Guide for Backpackers. A short and super easy track in the Manawatu Gorge is the Totara Loop Track. To find the track, take State Highway 3 then the walk is just across Ballance Bridge, 20 minutes from Palmerston North. A great open space to just go wild in Palmerston North, Bledisloe Park also has a number of varying length walkways. Some lead to the Turitea Stream and are super easy to walk. Find the park Tennent Drive, Massey University Avenue. When cycling on the roads, be sure to follow the City Cycling Rules in New Zealand. Enjoy an easy-going ride along the Manawatu river. This 10km bike and walking track is easily accessible from the city giving you a great opportunity for a day ride. Although it is a one-way ride, you can easily loop this ride back to your starting point in the city. Access points to the Manawatu Piverside Pathway include: Te Mata Road, Albert Street, Centennial Drive, The Esplanade and Maxwells Line. Just 13km from Palmerston North city centre, Arapuke Forest Park is made up of mountain bike trails. Beginners can try the grade 2 Jack Frost, while experts can challenge themselves to six grade 3, six grade 4 and one grade 5 trail. Find the mountain bike tracks at the very end of Kahuterawa Road and at the car park on Scotts Road. This loop takes 1-2 hours to complete covering 10-20km depending whether you ride or drive to the start of the track. From The Square (city centre), ride/drive to Fitzherbert Avenue. Cross Fitzherbert Bridge up on Summerhill Drive. Park your car on the gravel section before turning off onto Old West Road. Turn right onto Old West Road then left onto Turitea Road. Cross the bridge and bear right then stay on this gravel road all the way to Kahuterawa Road and follow it back to Old West Road. Turn right on Old West Road and back onto Hummer Hill Drive. After a day of bike riding, going for a walk, or checking out the museums, the fun doesn’t stop there. There’s always something happening at night in Palmerston North starting with the bars, live music and night markets. Get yourself a bite to eat or pick up some souvenirs at one of Palmerston North’s markets. The Village Night Market is a monthly market in the Palmerston North City Library with all sorts going on. Get down to The Square every Thursday night for the Food Truck Street Feast, music and flavours from all over the world. There’s always something happening at night in Palmerston North. The Barista Cafe (George Street) is open 7 till late with Saturday nights having live jazz music. You’ll also find live music on Fridays and Saturdays from 10pm at the Bubbles Champagne & Wine Bar (Regent Arcade off Broadway Avenue). Wednesdays and Thursdays are karaoke night a the Bubbles Champagne & Wine Bar, as well as karaoke every night at China Inn Karaoke (Broadway Avenue) Cafe Royale (Square Edge building on The Square) has live piano music on Friday nights and various live music on Saturdays. For some dancing and a game of pool, check out Mr Cue Bar & Nightclub (Taonui Street). Grab a beer and catch some live music at The Brewer’s Apprentice (corner of Church and Linton Streets). Quiz night on Thursdays and poker night is on Tuesdays at Rosie O’Grady’s (corner of Fitzherbert Avenue & Ferguson Street). 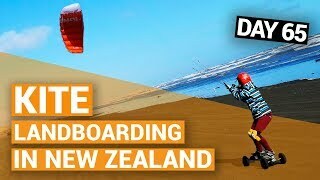 Check out Foxton Beach and even wind surf with Wind Warriors. For more things to do, check out 12 Free and Cheap Things to do in Manawatu. 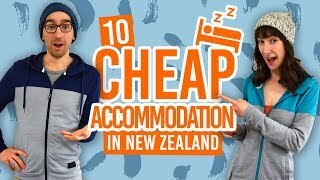 Where to stay in Palmerston North? For more budget accommodation options, check out Accommodation Guide to Palmerston North. New Zealand Rental Car Insurance: Explained! Should You Rent or Buy a Vehicle to Travel New Zealand?